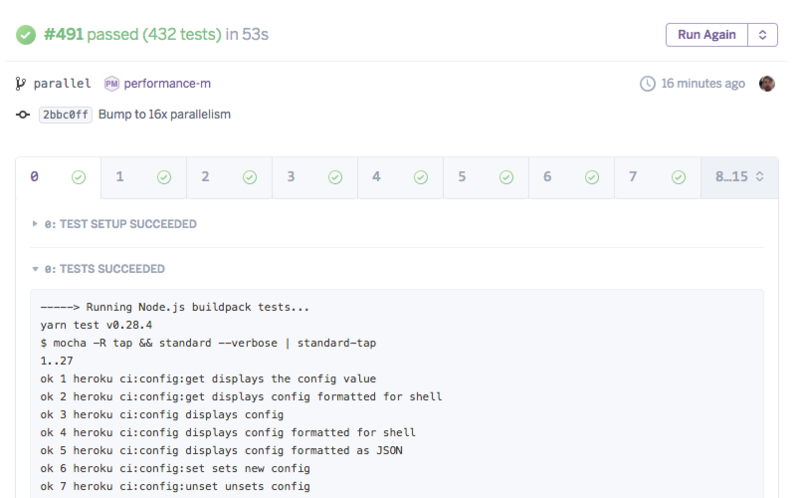 Heroku CI supports distributing test runs across up to 32 dynos to substanially reduce execution time. This configuration launches 32 test dynos per test run. Use these values to specify to your parallel test runner which tests it should run on each dyno. Dynos in a parallel test run share the same instance of any databases (and other add-ons) provisioned for the test run. This means that a Heroku Postgres instance might be shared between up to 32 dynos. Postgres extensions are not currently supported by the in-dyno Heroku Postgres plan.